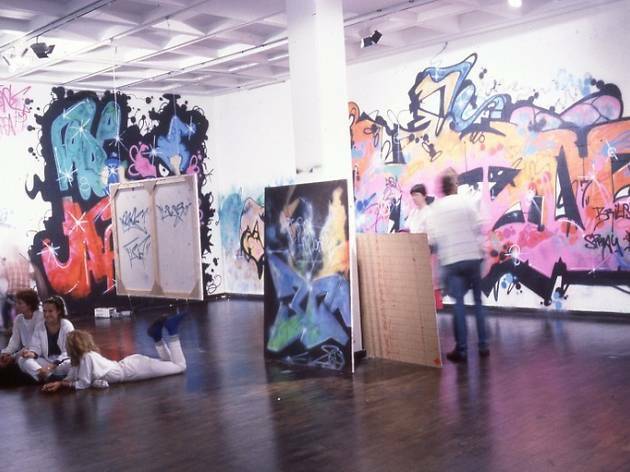 Back in 1985, Bristol's Arnolfini broke new ground by becoming one of the first places in the world to invite the then-fledgling artform of graffiti in from the streets for an exhibition on its galleries walls. That show, entitled 'Graffiti Art In Bristol', has since become a thing a legend among the city's ever bouyant street-art community and culture, with the likes of 3D showcasing his spray-can skills and the legendary Wild Bunch sound-system crew (who would go on to become Massive Attack) performing in the downstairs gallery on evening. There that night was local college lecturer Phil Johnson, who filmed the Wild Bunch performance with a VHS camcorder. 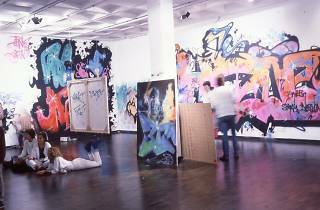 Years later he discovered the tape, and the footage he shot that day will now be screened at Arnolfini on Sunday 19 July to help commerate the thirtieth anniversary of the exhibition. Showings will take place between 2pm and 8pm, with breakdancing and memorabilia on display, plus DJ sets in the Cafe Bar from 7pm. Head over to the Arnolfini website for more details and make sure you check our exclusive gallery of images from that era, including some shot at the original exhibtion, by photographer Beezer here.